Some still for this week's episode from weibo. Ahhh iirc in some video SS will backhug NQ because he's leaving... ahhh poor SS. Altho my favorite has got to be this one... Even without any dialogue... the actions alone speaks so Loud! Erudite from mydramalist translated the title as "Watch ye all, for (my) blade has been unsheathed"
hes not from that world?? Don't read too fast because webnovel is currently up to 598. Each chapters has a tradition. The tradition to end with a cliff hanger!!!! Even CPR can't save you. Truth betold, his dad, if I remember correctly is an orphan. His mom vaguely remember who she was. How would we know for sure they are his real parents. They really didn't go into dept about his background. Actually my question was more about where he came from. We hear from the drama and those that read the novel mention NQ is not from this world. Just like sangsang even though she has birth parents in this world. She is the daughter of hades. So I'm curious about Ning Que. What if he was the son of hades from another world but somehow ended up in this world... He is always ask to make decisions and he is suppose to be the person with "the answer". Thats not really a twist though i mean its somewhat obvious? @Wotad About your question on NQ origin and Fuzi's interest... for me, it's a bit hard to answer them without going to long... I'll try to make a short summary for you. Fu zi's interest to NQ is because NQ is a reincarnated person that have his past lives memory. (Let's just say that this is a different dimension) So he is not from this word controlled by Haotian. 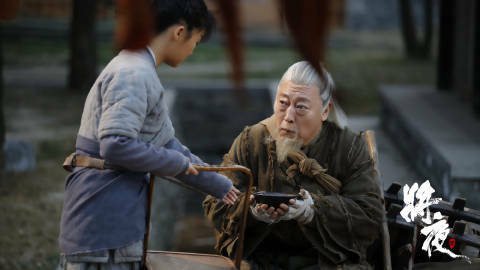 In the first scene of the first episode where Tang, Ye Su and Qi Nian gathered, that is marked as the event where Hades's descendant is born. At that time, Ning Que's home and Sang Sing birth parent's home are neighbors (the building are facing each other). So when Wei Guang Ming try to point out Hades's location, the crows circles their place. But Sang Sang's identity is cloaked, so she's invincible, thus as Wei Guang Ming has the ability to foretold that Ning Que is a reincarnated person, he then assume Ning Que is the Hades's son. It's a mistake, but for me I see it as fate. Fuzi, is old.... so after someone has his kind of ability... in the story Haotian will not allow this person to live in this current realm, or the expression that was used was "Haotian wants to eat/absorb him" (This is more or less how I read it.. because I read it via machine translate ). And Fuzi don't want that to happen. Anyway.. the reason Fuzi wants NQ as his last disciple is because he has knowledge of the other world.. and also he has potential to be unbond from Haotian's rules, because originally he's an outsider. That's why Fuzi keep asking him question about what will he choose... what is the moon... etc.. it's because he wants to know as a person from another world what is NQ's view.. and can NQ give the answer he's searching for... and what can Fuzi do if the eternal night really come. This is something that will be more explored in the second and third season I believe. The overarching theme of corrupt religion in the story is a fascinating one for me. That being said... I'm kinda wondering how the script writer is going to tackle this part of NQ being an reincarnated person. Iirc Chinese TV show regulation don't allow this topic to appear unless the drama is a 100% web drama. Wow @lynne22 the pain you must go through the machine translation... I haven't reached that no wonder it is a bit unfamiliar. who NQ's parents were. That is a given. The twist is what happened that night and NQ's motivation for revenge, aside from avenging his parents. 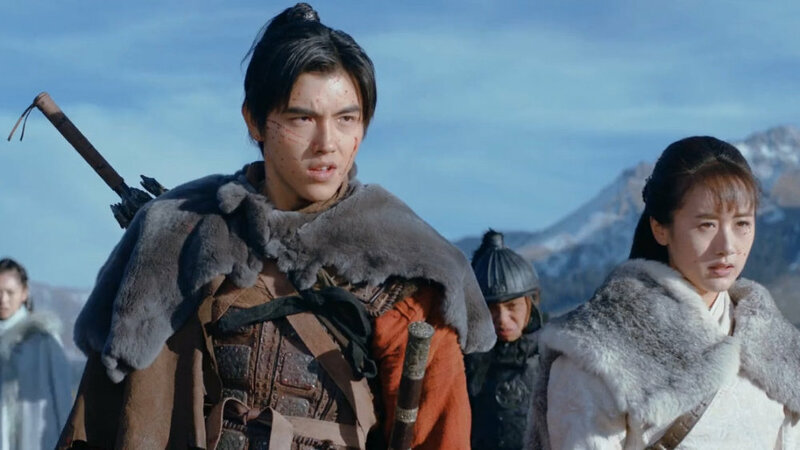 I thought that development is unique, as typical wuxia novels tend to emphasize too much on honour and loyalty. I totally get it when NQ questions "Why should I follow the storybook?" I don't think even SS was aware of this. @dzareth the temptation is too hard to resist. About the twist you mention, I also applaud the author for making it this way. For me,, after thinking about it for quite some time.. I think aside from the religion theme, there is another one that the author wants to convey... Common People matters, and Ning Que represents that part of common people. Everyone have the same right and burden, whether it is avenging their family or defending their country. There will be an amazing fight that are going to happen in the book, during the siege/attack on Tang. Ning Que as the protector of Chang An, will be the executioner of the people's will to protect Chang An. That's why the talk between Fuzi, Tang Emperor and Li Peiyan in ep 9 surprise and delight me. The talk about the "Sword of the People".. this is a nice touch added by the script writer about events that will happen in the future. They can do another world as long as its not time travel and Ever Night is 100% web Drama right? Its also from Tencent who have the eternal love with time travel so shouldnt be a issue , also that depends if Season 2 does well but then they go off book and that makes me worried. Chingu's You guys are just spoiling me soooooo. I Love these tidbits...... I am so darn excited after reading these news. They can still do it of course, but if they didn't, It really doesn't matter as long the explanation they gave in the story works for the drama. Many of the novel into drama adaption are time traveling but they change it up due to the "rules" Like Legend of Yunxi and Princess Agent. Let's see how EN is played out!!! Hello guys, my first time posting here. I read thru all the comments and enjoyed everybody's posts. I love this drama so much. Ok, now for the dudes who have been looking for the English translation of this novel, I have found a link. Here it is. Hope this is the correct one. Enjoy!!!!!! Now I am going straight into chapters 358 and 359 to read. Ahhh Ep. 31 makes me sad, SS and NQ's separation feels like a story of a soldier and his wife. And then the scene of SS missing NQ breaks my heart. Reading them was hard, but watching it in the drama is even more so. The director just had to show it to us over and over again huh? Finally Wei Guang Ming appears... I'm not sure how to describe my feeling. He makes me feel sad all of the sudden. Anyway this is a short trailer from EN weibo, I think this is released for some kind of TV award, I'm not sure... but god! This is so good! Seriously so good! Hmmm... I'm getting bored with the latest episodes. Watching Ep 31 makes me feel sad all of the sudden for Yan Se and Wei Guang Ming. I happen to think at this point of time, WGM and Yan Se is not so different after all. They are old now..and I guess eventho they have big obligation to their faith and sect, due to their age what they want the most is finding someone to pass down their knowledge. Just like Yan Se finding Ning Que, Wei Guang Ming finding Sang Sang feels more precious now. Having a successor for them is like a needle in a haystack. So for me, Sang Sang & Ning Que is their lucky chance to finally found a successor, a pseudo child. So afterward when they die, they can die peacefully. Isn't it Ironic that Wei Guang Ming chose Sang Sang as his desciple when Xiling has been grooming LQ to be his disciple. 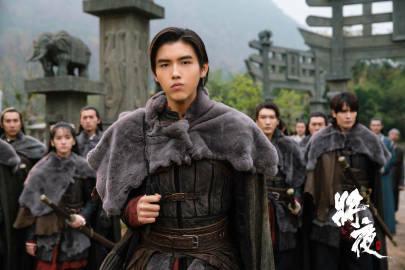 Wei Guang Ming told LQ he could never be his disciple because he has to much emotions ( greed and ambitions) in his heart. To be the Grand Priest of Light they must be pure. Yan Se adore NQ because he is a mini version of him , full of mischief, Sang Sang is serious and has a big heart just like Wei Guang Ming. Then both are mirror images of themselves. Is SS not the heir of Hades and WGM was trying to kill her? How come he chose her as his successor? Even now nobody knows that she is from the Hades family? Can somebody clarify?